Subiect: At Chitila Fermă, on a clogged hill comprised between the railroad Bucharest-Ploieşti and the Colentina locality, the archaeological research undertaken during the fall of 2001 have brought to the discovery of an archaeological site dating from the 2nd-5th centuries A. D. Two layers of inhabitance were found, having two levels each: the first one belonging to the Bronze Age, Tei culture and the second, the upper one, to the Chitila-Militari culture of the 2nd-5th centuries A. D. Both inhabitance levels containdwelling structures and a rich archaeological material. The materials found in the upper layer, dated from the 2nd-5th c. A.D., and belonging to the Carpo Dacians, are of special importance. The archaeological material so sists of ceramics, bronze, copper and silver objects. We were impressed by the amount of iron lumps, slag, metal fusions, looking as if a workshop for melting and processing metals was located there. A bronze coin of the Caracalla's epoch (284-306) was also found in the lower stratus. The most important surprise-item is a bronze club-shaped scepter in shape of a bishop's mitre. According to its shape and ornament, its origin lies in the tradition of prehistoric sceptres in the Carpatho-Danubian area. It is globular, endowed with two orifices (a wider one at the base, with a wear lustre generated by a wooden handle, and an upper, smaller one, accompanied by four applied discs decorated with a firtree ribbed leaf, each). The item presents a second cross which splits its surface in four lobes. Each lobe has an oval opening where we suppose a gem must have been embedded. A cross must have been set in the superior office. Monetary iconography and the Barberini ivory itam offered us data regarding the shape and function of the scepter, and we also used data resulting from the archaeological research at Scitia Minor Moesia, and on the whole territora of the former Dacia, from before the Roman conquest, and the research on the present territory of the former Dacia, from before the Roman conquest, and the research on the present territory of the former provinces Wallachia, Moldovia and Transylvania. The scepter is a recognition sign of a person in the know, of a political, social or religious leader - of his virtues. Its origins go to least 19 thousand years ago, in the remote prehistory. During its historical evolution, it has known various shapes. In our brief historic study, we referred mainly to the scepters found in the Danubian-Carpathian area. We know, from the specialists' work, that, during the late Roman period, the scepter had two shapes, the long scepter, used in official ceremonies, and the short one, used as a recognition sign within common activities or during more restrained activities (private visits). Throughout its historic evolution, the shape or the imperial crown was reached (helmet, with the Geto-Dacians) in the case of the newly-invented shape, instead of the item figuring some divinity, the local craftsman imagined the scepter shaped as an imperial crown, and set a cross in the upper orifice, between the four fir-tree leaves. The newly-invented shape functioned in parallel with the globe and cross, after the 4th c. A.D., after theedict of Mediolanum. The Roman conquest of the Occidental mountainous region of the Dacian kingdom and the shock of the two conquest wars did not break the kin and language tics between the Dacians in the Carpatho-Danubian area. The unconquered Dacia continues to be a source for refreshing the Roman troops, offering soldiers fort his part of the Empire; after having accomplished the military service, soldiers and invalids were returning to their origin places, accompanied by their wives, mistresses, children, enjoying better material conditions, keeping the relationships they had established during their military service. We should not imagine the life in the area devoid of its social and historic background, or being different from the contemporary one. The departed returned to their origin places, regained their previous activities, bringing along their a language enriched by new words and aphorisms, in their traditional milieu, and enjoying an improved material situation - often richer, with enlarged estates, with accumulated gains and experience. These facts are often forgotten, when the ethno genesis of the Romanian people is being discussed. The symbiosis has occurred within the historic behavior and system, typical of the Antique world from before the migrations (comprised between the second half of the 5th century to the 9th century A.D.). This is the essential reason of the difference between our language and the other neolatin languages of peoples who were essentially Christianized after the 9th century. The basic Christian word stock, together with the phraseological topic and the socio-religious early Christian behavior mark the historic "boundaries" between us and the other Christians. Christianism brought about and spread around by crusaders is a different one – imposed by sword and havoc: the Christianism from after the great schism of 1054. The Wallachian rulers – princes and voivodes - did not know other form of Christianism besides theirs, so they were persistent in their traditional credo preserved in the hidden depths of the Carpatho-Danubian woods. We arc as such, wheather we like it or not, wheather the others like us or not. We found an essential aid in dating the Chitila Scepter and the other findings. 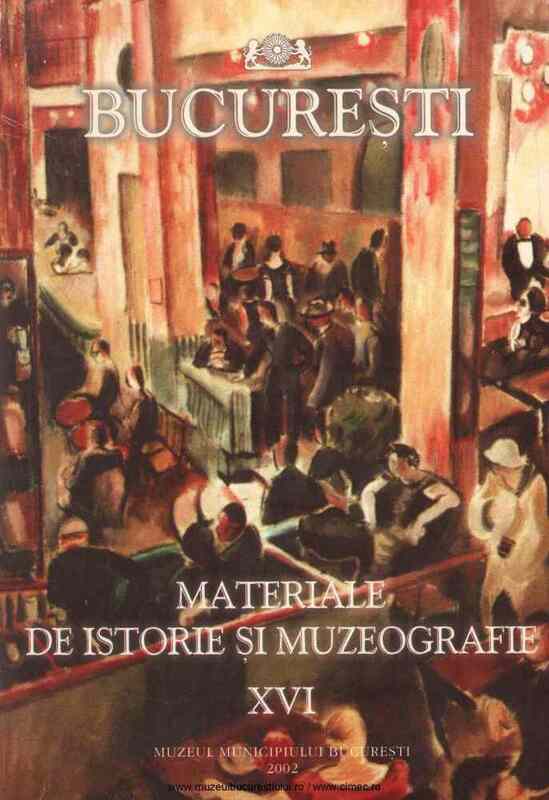 In Pierre Basticn's work entitled "Le buste monetaire des empereurs romains'', in the catalogue „Early Christianism and Christianism on the territory of Romania" published by the Ministry of Culture and Cults, together with the National History Museum, the Holy Synod Library and its director, archimandrite dr. Grigore Babus, in my colleague E. Obcrlandcr-Târnăvcanu's advice, the specialist’s' staff of the Centre of Information and Cultural Memory (C.I.M.E.C.) and, of course, in the opinions of illustrious scholars such as V. Pârvan, S. Mehedinţi, R. Vulpe, P. P. Panaitescu - all forgotten by the materialist historiography of the last decenies. Thc discover of a scepter belonging to a Carpatho-Danubian leader, at Chitila Fermă, (an item bearing Christian signs) is the first archaeological confirmation of the Christianization of the Carpo-Dacians in the Bucharestan Plain. The Christianization of the Goths in this geographical area was not an accident; their Christianization could not have occurred elsewhere, but in a Christian milieu, and it is directly linked to the presence of Apostle Andrew in the area, to the martyrs and the Christian bishopsric, to the political-military events from 245-247 A.D„ amplified by the here established Goths and Sarmates, allies of the Carpo-Dacians together with whom they frequently attacked the Roman Empire, fact that caused, after 260-268. A.D., the military abandonment of Dacia by the Romans.